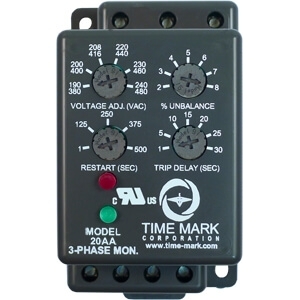 The Model 2002Y 3-Phase Voltage Unbalance Monitor is designed to continuously monitor a three-phase line with a neutral connection for unbalanced voltage conditions. This device will only energize the relay if an unbalance exists. Zero volts on all three phases is considered a balanced condition. 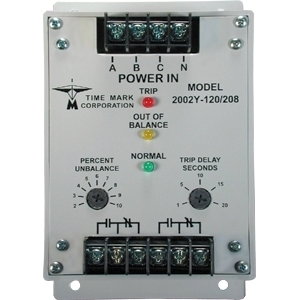 This allows the Model 2002Y to be used with shunt breakers, so that main power can be restored without resetting breakers.